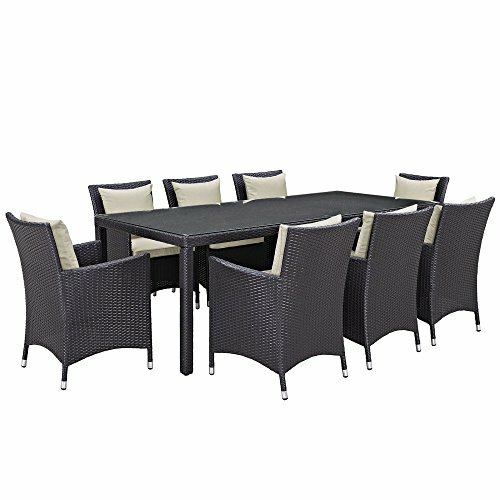 There’s no fresher way to eat than to serve a meal straight from your garden and onto the Modway Convene Wicker 9 Piece Rectangular Patio Dining Set. But whether you’re growing own food in your backyard, picking up local ingredients from farmers’ markets, or even serving takeout, a meal always tastes fresher when you can drink in the clean open air along with it. 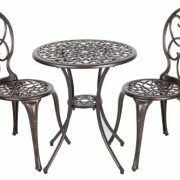 This lovely set creates an ideal outdoor dining area for you, your family, and your friends to gather around and enjoy each other’s company. Featuring the Convene Collection’s comfortable armchairs, this set encourages prolonged sitting while sinking into the softly cushioned seats and propping your elbows up on the reassuring armrests. 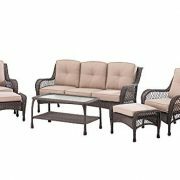 Wrapped in a deep espresso-colored soft synthetic rattan wicker, this handsome set has a high-end look that you’ll love. 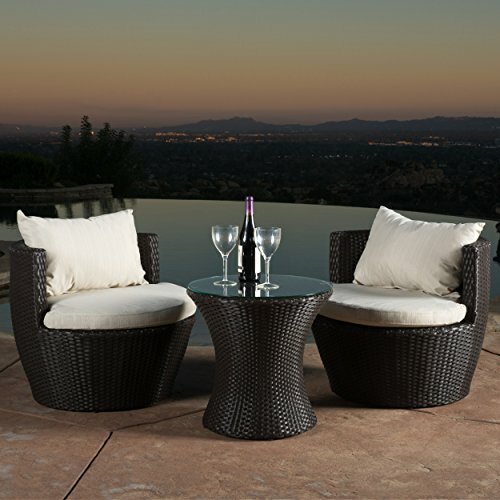 The rich, dark wicker is paired with your choice of cushion colors, so that you can personalize and coordinate the set with your other outdoor decor. And as part of the Convene Collection, this set offers a slim, clean-lined aesthetic that pairs well with either a contemporary or classic look. Dimensions Table: 71L x 39.5W x 29.5H in. Chair: 24.5W x 25.5D x 34.5H in. 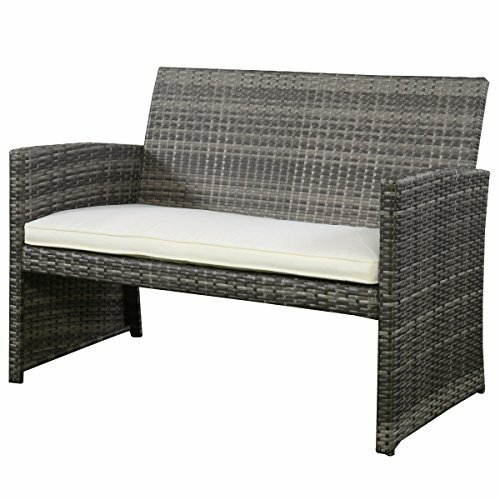 Seat: 19W x 19.5D x 16.5H in. Armrest: 25.5H in. from ground, 9H in. from seat Backrest: 18H in. Chair weight capacity: 330 lbs. Purchase the Convene Collection just as it’s pictured above or shop the collection to create your own custom set. 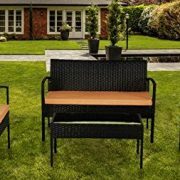 Constructed with a sturdy powder-coated aluminum frame, this set is then covered with a synthetic rattan wicker that is both soft to the touch and tough enough to stand up to the elements. The sturdy glass top provides a stable surface for setting drinks and dishes and makes keeping it clean a breeze. And the Sunbrella fabric on this set’s cushions is both breathable and water repellant, making it more resistant to rot, mildew, UV radiation, and fading.